The mission of Trinity Episcopal School is to nurture and educate children in a God-centered environment, filling hearts and minds with a passion for learning, a strong moral foundation, a commitment to social responsibility, and respect for all people. At Trinity, students are taught in self-contained classrooms in Beginning School and Lower School with some team teaching. Middle School is fully departmentalized in Grade Six, Seven and Eight. A student's academic achievement, personal growth, and leadership traits are actively encouraged by a dedicated and demanding faculty. 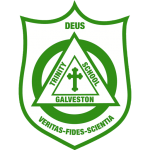 Trinity seeks teachers who are knowledgeable, enthusiastic, caring, exhibit growth and a joy of learning in their own life and possess integrity. While their talents are diverse, they share a common goal— a commitment to the personal and academic growth of each student.